You need a camera which gives you a wider scope. And you have a choice of numerous models from the Nizo universal range, all equipped with Schneider lenses, a famous lens manufacturer. 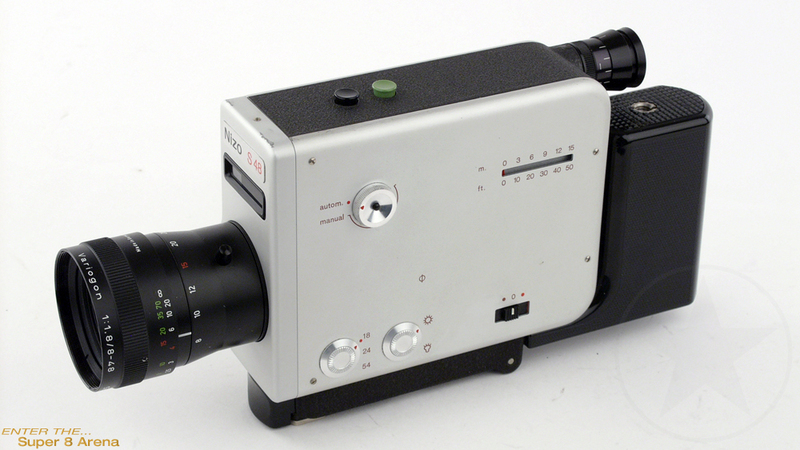 Nizo's tremendous technical expertise in movie equipment resulted in fully equipped cameras including a two-speed power zoom, 18, 24, 54(!) frames per second film speeds, good reflex viewfinder with split-image viewing, TTL metering with full manual override and finally, a single frame capability for trick shots for example. All incorporated into a body built to the highest standards of instrument engineering.